Michelle Logan, the senior manager of Best Friends’ national programs, specializes in professional animal welfare education and training. 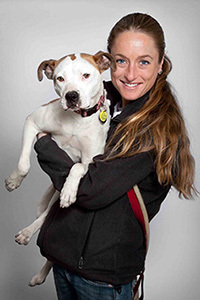 While earning a bachelor’s degree in animal science from the University of Rhode Island, she spent her summers as part of the team at Smithtown Animal Shelter in New York, where she filled a number of animal care and support roles. In 2006, Michelle came to Best Friends, where she has served as the manager of Dogtown at Best Friends Animal Sanctuary in Utah, and operations manager for the Best Friends Network, overseeing its strategic vision and supervising a team of regional specialists.